American consumers are embracing healthy eating habits. For instance, almost 80 percent of these individuals have begun avoiding sugar and purchasing more natural products, per researchers from the International Food Information Council Foundation. However, these behavioral changes might not be enough, as approximately two-thirds of stateside adults are overweight, according to the World Health Organization. What more can Americans intent on improving their health do? For households with the necessary access and means, hiring a personal chef is an ideal option, as these in-home culinarians are capable of cooking up wholesome meals that can support positive health outcomes. If you are thinking of pursuing this unique pathway to wellness, you should familiarize yourself with the role and dig into the various complexities that come with hiring a personal chef. Personal chefs typically work within the home and provide personalized meal preparation services, according to the U.S. Personal Chef Association. These cooking professionals are also small business owners and normally operate their own companies. 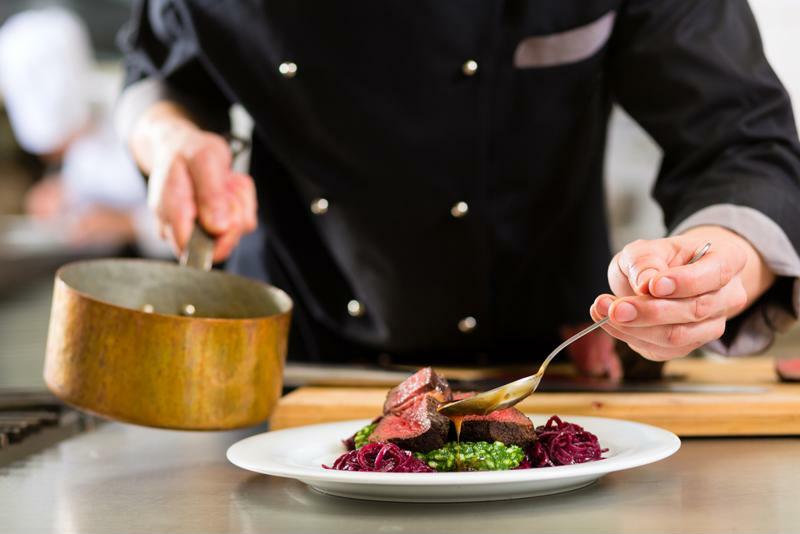 While there are no formalized educational requirements, personal chefs often pursue third-party certifications that come with their own prerequisites. For instance, the American Culinary Federation, the largest chefs' trade organization in North America, requires individuals pursuing its Personal Certified Chef designation to have high school diplomas or GED certificates, associate degrees in culinary arts, between 150 and 200 continuing education hours and experience in an ACF apprenticeship program. Through these educational experiences and real-world culinary opportunities, personal chefs develop the functional skills they need to effectively serve clients of all kinds. As mentioned above, these cooking savants are largely responsible for preparing made-to-order meals. However, personal chefs offer some ancillary services as well, per the USPCA. For instance, most do customized meal planning and shop for groceries. Some also host cooking classes and help organize and facilitate full-on dinner parties, providing both platted and buffet-style meal services. In short, these culinary professionals offer immense value to modern households whose members are interested in improving their eating habits without devoting considerable time to finding recipes and preparing dishes. As you embark on the search for a personal chef, keep this position sketch in mind and pinpoint someone who fits the bill. Additionally, avoid the common recruitment pitfall that slows many navigating this: confusing personal chefs and private chefs. Yes, there is a difference. The former work for multiple clients while the latter cook exclusively for one person or household. A private chef can help you develop healthier eating habits. An estimated 10,000 personal chefs serve approximately 92,000 U.S. households, according to the American Personnel and Private Chef Association. While most of these food preparation experts maintain wholly unique client bases, many have similar daily schedules. Personal chefs often begin the day navigating grocery store aisles in search of the ingredients they need to cook meals for their clients. Some also gather pre-packed pantry essentials. With the necessary items in hand, these culinary professionals visit their clients and put together the requisite dishes and perform, other ancillary tasks like kitchen cleanup. Most personal chefs work in the presence of their clients at some point and collaborate them to develop menus and review nutritional content. The latter exercise is, of course, particularly useful to individuals looking to embrace healthy eating. This is what you can expect from potential personal chef candidates, as most work with multiple clients and therefore keep tight schedules. With this baseline knowledge in hand, you can commence your search. Of course, if you have little experience recruiting and hiring domestic staff, you might be confused as to where to start. The answer is simple: research. Before you even consider posting an advertisement or working with recruitment professionals, take some time to consider your needs. If you are bringing on a personal chef for nutritional reasons, for instance, you must decide whether potential candidates would be required to prepare specialized meals based on a specific diet or just need be able to cook largely conventional dishes with an emphasis on fresh fruit and vegetables, and whole grains. Ancillary services are another key issue. Do you require someone who plan full menus and double as a nutritionist or are you content to hire a chef who simply executes? In addition to these functional concerns, you should consider how a potential personal chef might interact with the members of your household. Personality is essential to success as cooking skill when it comes to collaborating with one of these culinary experts. What made you become a personal chef? Can you describe your education and training? What styles of cuisine are your most comfortable with? Have you prepared food for children before? Can you accommodate clients with special dietary needs? In addition to addressing the functional issues that accompany cooking, tackle behavioral topics through situational questions like, "Can you describe a difficult situation and how you overcame it?" The responses these queries yield often prove valuable. By leveraging these questions, you can effectively assess personal chef candidates and potentially hire one. That said, if all of this sounds a little too overwhelming, you can partner with a domestic recruitment firm capable of sourcing skilled culinary professionals capable of helping you and your family adopt healthier eating habits. A Colonial Domestic recruiter meets with you to discuss your culinary needs and offer advice on how you might go about finding the right personal chef. The recruiter then searches our expansive database and pinpoints potential candidates that might be able to effectively serve your household. The recruiter conducts initial interviews and then connects you with the domestic professionals who pass this screening. You manage the final interview and make your decision. So, are you prepared to start your search? Contact us to learn about our services and how we can help you find a personal chef that meets your needs.